Like many company success stories, ours began in a garage in 1993. My parents’ single-car garage, to be exact. I can still remember all the sheepskin inventory stacked to the ceiling, and my father’s relentless mission to design and produce exceptional quality sheepskin goods. It was a mission that inspired me to join him, and, together, we spent the next fifteen-plus years perfecting our line of slippers, boots, hats, gloves and jackets, while building solid relationships with factories and customers around the world. Each and every product starts with an idea in our showroom, which is then sketched out and refined by our designers. This design process doesn’t stop until we’re confident that we’re adding quality, and function to our collection and to your winter wardrobe. The ideas that emerge in our Montreal office come to fruition around the world, thanks to our selected international partners. While we’ve come a long way from our humble beginnings, we still like to think of ourselves as a family business, only a bigger one that includes and values every one of you—our clients, collaborators, and artisans. I’m honoured to continue my father’s legacy and maintain Ricardo BH’s position as a leading sheepskin accessories company, while embracing our Canadian heritage and never forgetting where it all began—that garage in Montreal. As Canadians, we know the cold, and we promise to keep you warm with the stylish quality products that you’ve grown to love. 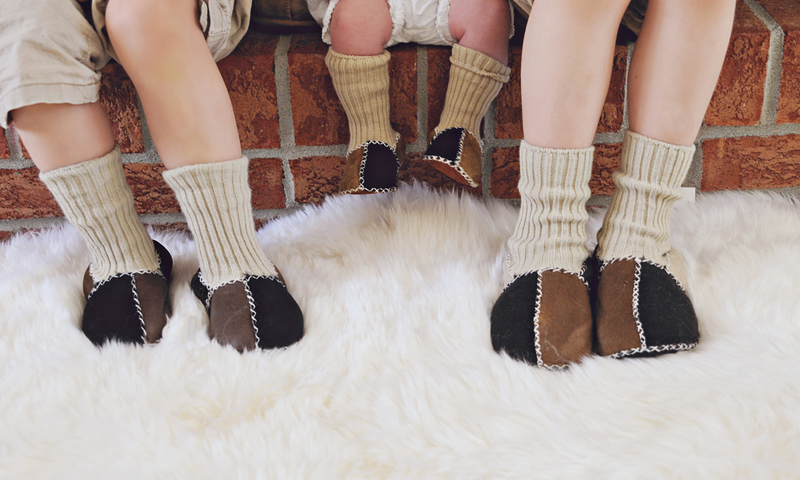 Thank you for making us your choice for Canadian-inspired, gorgeous sheepskin wear!